If you are looking for information on the Border Magic franchise business opportunity, Border Magic franchises or Border Magic franchising, then you have come to the right place. Americans spend $44.7 billion annually on landscaping. 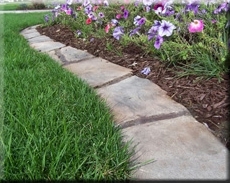 Border Magic provides a 10 year limited warranty on our beautiful yet functional concrete edging products that have the look and feel of real brick or stone for homeowners and businesses across America. Are you passionate about customer sales and service? 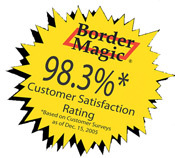 If so, a Border Magic® home improvement franchise may be a great fit for you.